Observation - tiny striped brown lizard - Global. 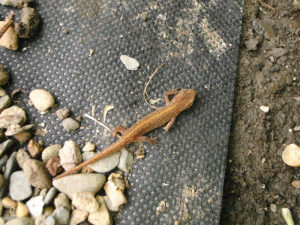 Description: Brown lizard with a lighter stripe along its' length. No longer than 6cm. Brown lizard with a lighter stripe along its' length. No longer than 6cm.